I recently answered a question on a polish gamedev message board about how game sales vary by Country and I thought that it would be a good idea to post it here as well. As far as I know this kind of stats are very difficult to find. The stats shown below are based on sales made over the last 5 years on our own website (www.codeminion.com). In this time we recorded online transactions in almost 100 countries (94 to be exact). I find it pretty impressive, as we even had sales in the Vatican. Anyway, click the continue reading button if you’d like to learn which 20 countries make up the most of our sales. Just a quick notice for you, that StoneLoops! is out for the IPhone and the game has so far exceeded our expectations. We are currently nr 4 app in the US and nr 3 in games. In many countries we are already nr 1. 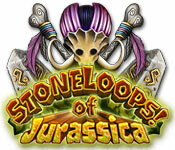 Here is the link to StoneLoops app store page, you can check how awesome the game is for yourself! I’m happy to announce that our latest game Ancient Quest of Saqqarah is now available on the IPhone from the itunes appstore. The game has been ported to Iphone by Virtual Programming. What is interesting is that the conversion is a near direct 1-1 code port from the Mac version of the game. It means that whether you are playing Saqqarah on a Mac or Iphone you are running the same code. 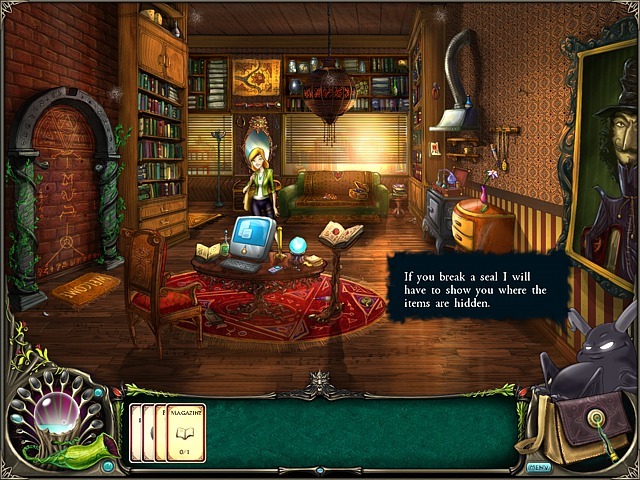 Of course the game had to be squeezed from 1024×768 to 480×320 resolution, but it still features almost all of the eye-candy effects and all gameplay features from the original. The game has been broken into 7 parts, so each temple can be purchased separately. Below are the links to the 4 versions that are already available in the appstore. Other temples will quickly follow, along with free evaluation versions. After previewing the upcoming StoneLoops! for IPhone a week ago, I would like to make one more announcement about a game that we have coming up. Brunhilda and the Dark Crystal is a game that’s been in the works for almost a year now, but it’s not an in-house production. It’s being developed by a small but very talented external team. The screenshots you can see above and below are the first ones shown publicly. Of course they still are a work in progress so the final materials might vary a bit. You can see that the game is different from our earlier games as it is not a match-3 and that it features a slightly different style of graphics. It’s not official yet, but I’m already sharing with you that we have licensed StoneLoops! for IPhone development and the project is already in a very advanced state. As a proof I have uploaded a short video that shows how smooth the game is on the IPhone and how close it matches the PC/MAC original experience. Please note that it’s still a work in progress and the final version will be even better. The company that is developing the port (which I will not disclose at this time, as I’m not sure if they would want it) has done an amazing job in our opinion. I’m not sure when the game will be finished, but it will be a matter of months or perhaps even weeks. Anyway, if you wish to be notified when the game is available please stay tuned or simply subscribe to our newsletter at our website. If you haven’t been watching the downloadable casual game market lately you will be surprised to learn that 19.95 is no longer a standard price. For some time the market has seen loyalty programs (such as giving discounts to customers who sign up to buy more than one game) but now it seems that the 19.95 USD price point for casually buying a single game is going away. I’m sure you’re disappointed about the recent lack of new posts on my blog (at least I hope you are) but I will try to get up to speed in the new year. Anyway, I would like to give you a short summary of what was happening here at Codeminion for the last months and what we are currently up to. The latest news is definitely the recent release of the second level expansion pack for Saqqarah. You can grab Egyptian Encounters here. We haven’t decided yet if we’ll be doing a third SaqPack. It depends heavily on your interest in this release, but if it gets any close to the reception of Monkey Monarchs – which sold more copies than Saqqarah on our website – I’m sure we’ll make another one. Another cool thing is that if you decide to purchase Egyptian Encounters you will take part in our contest to get a picture of you featured in our next game. Speaking of games, we recently had a small revolution. For about 6 months we’ve been working hard on a very ambitious large scale project, but we came to a conclusion that we don’t have the necessary resources to finish it in less than 2 years which was our goal. But don’t worry, we changed our plans and we are now working in-house on two smaller announced games which are to be released in early 2010. Keep your eyes on our website as we will be announcing the projects soon. To Hype or Not to Hype? As you might know we are already working on a new, unannounced game. Everything is going all right so far, but the progress seems slow as we have just begun and we are still in early preproduction. During the last couple of weeks we’ve been defining the minimal feature set for the game, designing prototypes and experimenting with various ideas trying to see what elements will make it to the final game. We also had an interesting discussion about whether we should hype the new game or keep a low profile during the development. Monkey Monarchs SaqPack is here! Today we have launched Monkey Monarchs the first SaqPack expansion for our latest game Saqqarah. I hate repeating the news section of our website, but this time it is a very important moment for us as this is the first time ever that we have created an addon pack for our game. What is also noteworthy is that today after many weeks of hunting we were finally able to reproduce and fix the “Access Violation” bug that was troubling many players in the temple of Bast. If you were affected by this bug, be sure to download the latest fixed version from the official game website. We are currently sending the fixed builds to all the portals so the updated version should soon be up everywhere. Anyway, I have added music from Saqqarah to the music section – at least the parts I was working on, so you can check it out. And if you really want to know about that top secret part then yes, it does concern our next big project. For now I can only tell that it will be a casual game and that it will be really awesome. Sorry, I really wish I could tell you more.